Which Confocal Microscope Should I Use?? The goal of the Biology & Biochemistry Imaging Core is to provide the local research community with affordable access to advanced microscopy instrumentation and to provide training in the use of these instruments. We aim to help you get the best data from your experiments through the use of confocal microscopy, Ca2+ imaging, FRAP, FRET and other advanced microscopy techniques. We welcome researchers from all scientific disciplines and users at all experience levels. 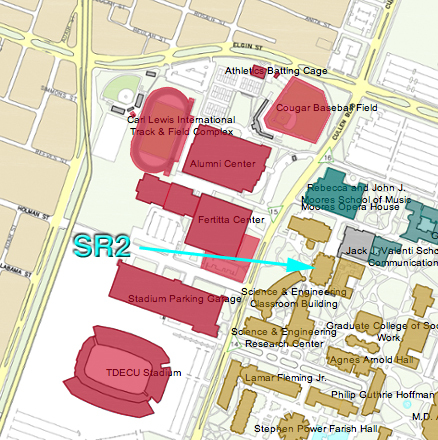 The BBIC is located in Science & Research Building 2 (551 on the official campus map), 3rd floor, in Room 328A.